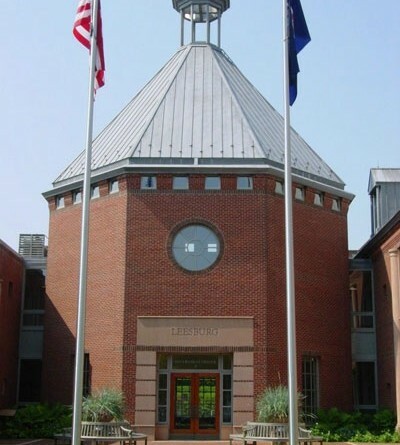 The four candidates vying to join Leesburg Town Council members on the dais lay out compelling cases, as far as their professional résumés and community involvement are concerned. The name that may be most recognizable to Leesburg voters is Gwen Pangle, who was on November’s council ballot, finishing in fourth place behind incumbent Tom Dunn by 42 votes. The chairwoman of the Leesburg Economic Development Commission, Pangle is also the president of the Leesburg Downtown Business Association, and serves on the board of directors for the Friends of Leesburg Public Arts. A downtown business owner, Pangle opened her real estate brokerage, Pangle & Associates, in 2011. She has made no secret of her intentions to run in the special election to ultimately fill the remainder of Mayor Kelly Burk’s council term, and restated her intentions in the expression of interest provided to council members in advance of Monday’s organizational meeting. One who does not appear to be joining her on the special election ballot is fellow interim council candidate Jed Babbin. In his expression of interest for the interim appointment, Babbin emphatically stated that he “will not run” in the special election. Babbin serves on the town’s Diversity Commission. He has spent the better part of the past 20 years as a author and commentator, with expertise in domestic politics, defense, national security, and foreign affairs. Babbin served as a deputy undersecretary of defense in President George H.W. Bush’s administration. Rusty Foster, the vice chairman of the Commission on Public Art, has also thrown his hat in the ring for the council seat. Foster is the board chairman of the YMCA of Loudoun County, the chairman of the Loudoun County Family Services Advisory Board, and is also an active member of the LDBA and Loudoun County Chamber of Commerce. Professionally, he is the owner and operator of Bow Tie Strategies, a public relations firm based in town. Hugh “Bugs” Forsythe, a retired major general in the U.S. Air Force, is the final candidate up for consideration. The current chairman of the board of directors for Loudoun Volunteer Caregivers, Forsythe continues to work as an operations controller for United Airlines. His career spans the commercial/civilian and military sectors in the aviation industry. He has also helped to plan the town’s annual Air Show. The council will meet beginning at 5 p.m. Monday, Jan. 9, for its organizational meeting when the four candidates will each give a presentation. An appointment could come as early as that evening. Advertising dollars get you the best writeups by this fair publication. I’ve repeatedly stated this, but Gwen Pangle has too many conflicts of interests going on between her private real estate interest and just her current appointed positions alone, which are being used directly to boost and market her private business using our government dollars (it is actually a quite ingenious strategy that the three friends colluded over). She is enriching herself, her family members (including son and daughter), and many others around her, and has many relationships through the overlapping entities that are intertwined and very suspect below the surface. If Kelly Burk wants transparency, she will not allow one of her bestfriends to attain the position, or if she does, she will readily allow the books moving forward, and I mean the full books to be open at no cost to the residents, once again at no cost without FOIA requests, as they relate to the Leesburg planning commission, econonmic development commission, town council, Gwen’s real estate firm – including Leesburg developers being awarded single source real estate new sales contracts with Gwen’s firm, tenants working with Gwen’s real estate firm directly to relocate while being displaced by Leesburg development, etc. should be open…. Gwen appears to have done many good things for this Town on the surface, given much of her time, but she feels owed due to many variables, especially due to her entitlement, wealth, tenure, friends in high places, and especially because she has helped previous create a corruptable system with many of her back-scratching buddies in her downtown business society. I guess I will find out on Monday how Kelly wants to start her Mayoral debut. Gwen – it was easy to hide your business behind closed doors, but once you openly start to flaunt it in the public forum it becomes Federal.